Next Generation focuses on projects aimed at children and youth. Our role is to be the initiator and entrepreneur of new projects, where we support and influence the projects with collaborating partners. Together with the Church City Mission and regional businesses, we have taken the initiative to form a sponsor fellowship for City Mission. Together we are helping to improve the livelihood and dignity of others. With the other sponsors we support four projects: The Night Ravens, The Street Pastor, The Release Valves and The Street Advocate. The Night Ravens is a preventive measure against youth violence and disorderly behaviour. Volunteering adults patrol the streets, providing a visible but low-key adult presence in the city streets where young people congregate in the evenings and nights. The Street Pastor's main objective is to be a priest for those who have challenges, and he or she spends much of their time on the streets. The priest also conducts outreach and is available for conversation support, guidance and care for those who seek support and consolance. The Release Valves is a meeting place for young relatives and family members of people with issues such as substance abuse, violence, mental or physical handicaps. The Release Valves invites these children and adolescents to join weekend and holiday events and activities. Here, they can share a common arena with others that are struggling with the same problems and issues. The focus is to help them cope with their social relations through activities (mountain climbing, go karting, surfing etc.). The goal is to give the participants a sense of achievement and belonging as well as to build friendships, relationships and a network between the participants and the staff. The Street Advocate Stavanger offers free legal assistance to substance abuse victims in the greater Stavanger area. The Street Advocate offices are open several times a week and are also accessible by phone during regular office hours. The Street Advocate has an outreach program where representatives from The Street Advocate hold office hours at institutions and treatment centers nearby. 30 volunteers work at The Street Advocate these include lawyers, legal practitioners and law students. There are also two legal professionals hired full time. Since its inception in 2013, The Street Advocate in Stavanger has managed 800 cases. HitecVision, in collaboration with other local companies in the financial sector, has initiated the establishment of a Master's degree in Applied Finance at the University of Stavanger Business School. 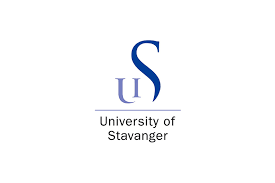 The Foundation aims to promote research, teaching and other activities in the area of finance at the University of Stavanger. The aim is to improve recruitment and competence development for the financial services industry in the Stavanger region. 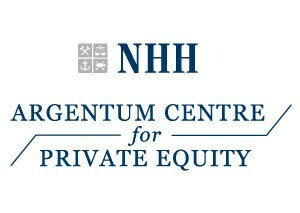 The Argentum Centre for Private Equity is a new research centre at the Norwegian School of Economics (NHH) in Bergen. The centre’s mission is to produce objective research of the highest quality on all topics related to Nordic Private Equity. To support its mission and to ensure its academic independence, the centre has established an advisory board of world-class researchers on Private Equity consisting of Professor Yael Hochberg (Kellogg School of Management), Professor Ulrich Hege (HEC Paris), and Professor Morten Sørensen (Columbia Business School).